This event is held once to twice a month. Have you ever wanted a close up and personal experience with a llama? 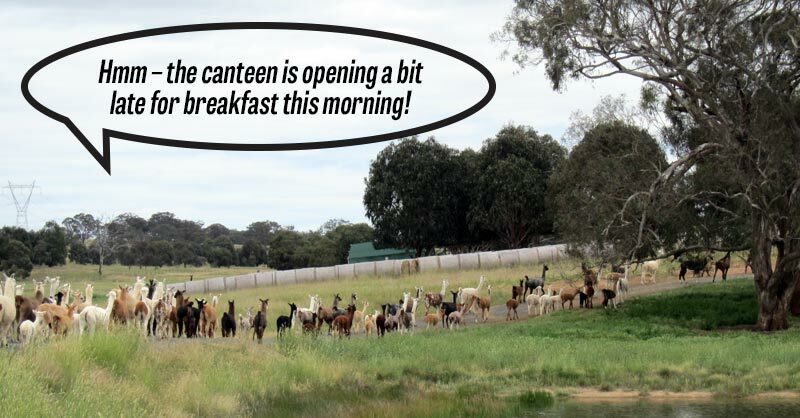 Have you ever wondered what alpacas do first thing in the morning? What does an alpaca eat for breakfast? Why is their fleece considered as the “fibre of the Gods”? Why are they called enviro-livestock? Why are so many people enamoured by them? Why are they seen as an ethical investment? 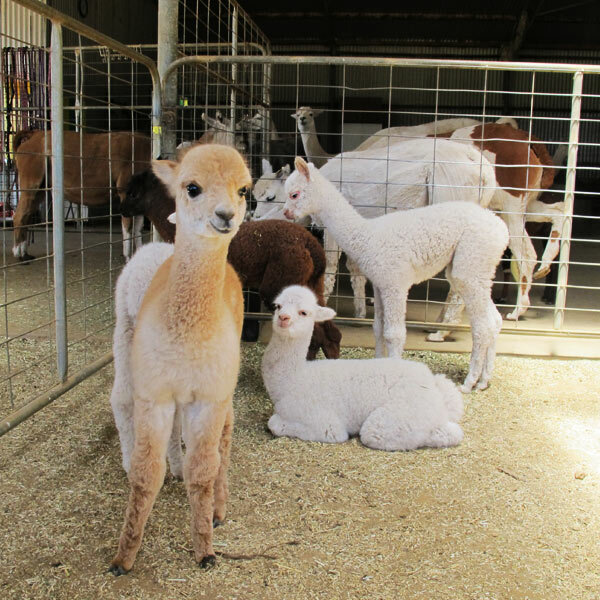 These questions and a lot more answered while you have an up close and personal experience with our alpacas and llamas. 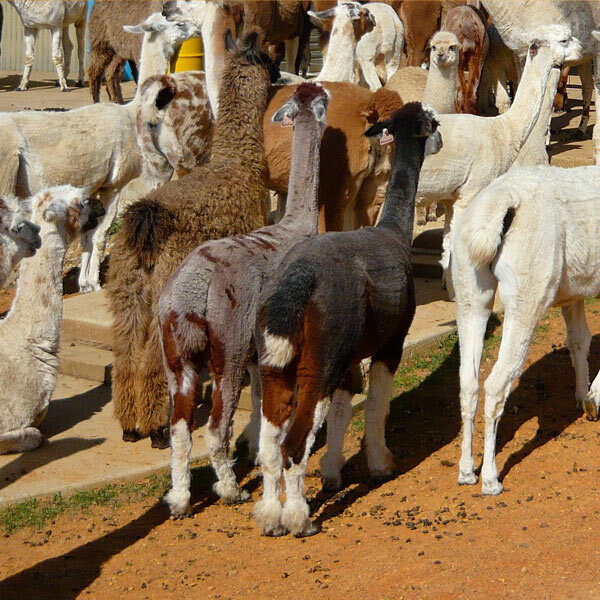 Come and meet over 200 alpacas and llamas and feed them treats (bring carrots finely sliced no more than the thickness of a coin). The animals have their breakfast about 8-10 am and that is the best time for a visit if you would like to be VERY up close and personal. You could well lose your heart to an alpaca or llama. Wear comfortable clothing a hat and sturdy shoes, bring your camera. A complementary barbecue breakfast, along with tea and coffee, will be available. Please contact us if you have any special dietary requirements.